This management algorithm was developed by a multidisciplinary expert panel: Connolly A et al with the support of a grant from Bayer. See bottom of page for full disclaimer. 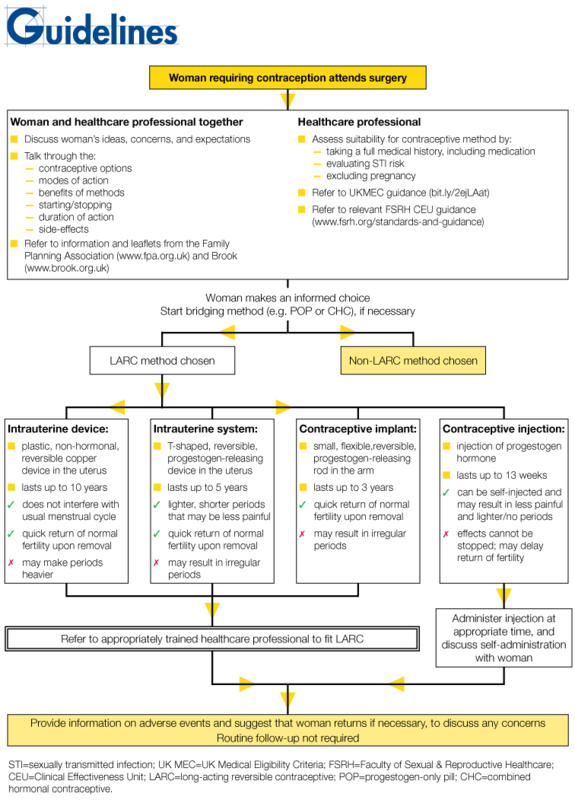 LARCs=long-acting reversible contraceptives; IUD=intrauterine device; IUS=intrauterine system; STI=sexually transmitted infections; SIGN=Scottish Intercollegiate Guidelines Network. 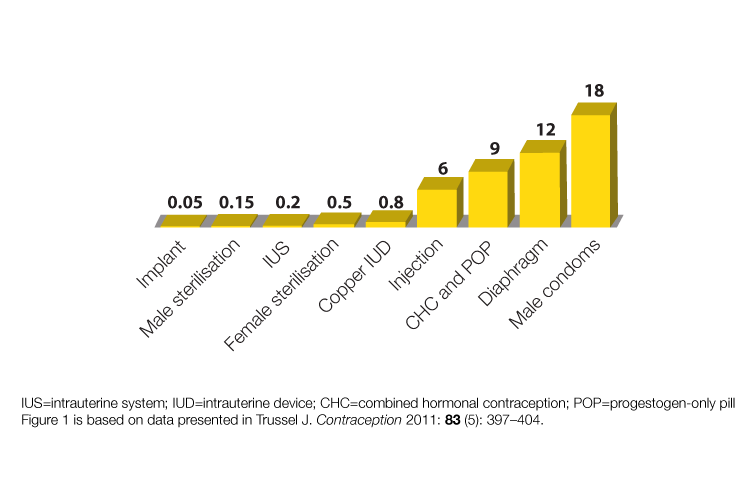 This algorithm has been developed by MGP Ltd, the publisher of Guidelines, and the expert group was convened by MGP Ltd. Final editorial decisions rested with the Chair. Bayer provided funding for the development of this algorithm but has had no input into the content or the selection of the expert group members. Date of preparation: November 2016.